There are plenty of companies in Oxford willing to provide you with the tiles you are looking for, either you want basic white tiles and black tiles or you’d rather choose beautiful mosaic tiles. The best tile stores in Oxford count with products of different materials, like clay tiles or brick tiles, as well as the best options for every room in the house such as bathroom tiles, kitchen floor tiles and more specific ones, backslash tiles. There are many different types of tiles to choose from consisting of different materials, and your choice will depend on where they’re going to be placed or the design you are looking for. Ceramic tiles: they are fireproof and resist high temperatures. You can find them in many different colours. Concrete tiles: it provides great sound and temperature isolations, they are very resistant and strong. Metal tiles: its best characteristic is that it can be used everywhere since it perfectly resists all climatic conditions. 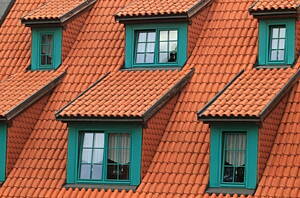 Bituminous tiles: used for roofs which slope is less than 13 degrees, they are made of canvas or fiberglass. Copper tiles: although they must be carefully installed, they are long lasting and they require little maintenance. Ceramic tiles: they are the most economic ones. Porcelain tiles: their surface has a glazed look. Natural stone tiles: among these, the most common ones are granite, marble, limestone and travertine tiles. At Infoisinfo we always work hard to be able to offer you some useful information so that you can easily find the best products and services for you and your company in Oxford. We know how important is for you to make your house feel home. It is important to count on quality materials that you like. For this reason, we have prepared a list of the best tiles manufacturers in Oxford for you to discover from beautiful kitchen and bathroom tile ideas to the best roofing tiles. Get in touch thanks to the contact details provided such as phone numbers, websites, address and opening times. In addition, you can have a look at comments and valuations from other clients so you can get a better idea about these construction materials.